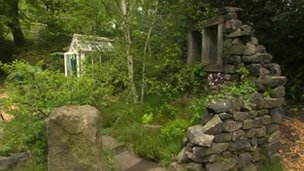 The Yorkshire Brontë Garden won the gold medal at the 2012 Chelsea Garden Show. The Brontë sisters were known to walk in an area that closely resembles this facsimile, and are the inspiration for the 2012 entry. The design is based on the neighbouring moors of the Pennines, a landscape that would have been recognizable to the sisters. 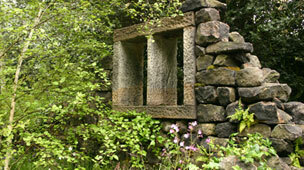 The garden with its literary theme marks the 165th anniversary since the first publication of Jane Eyre, Wuthering Heights, and Agnes Grey. The artisan garden also was given The People's Choice award.